Skoda has unveiled the all-new Scala. The family hatch will replace the Rapid Spaceback in the Skoda line-up and rival the Ford Focus and Volkswagen Golf when it goes on sale in mid-2019. Pricing and specs for UK models are still to be confirmed, but the Scala is expected to significantly undercut the £18,300 starting price of the Ford Focus. 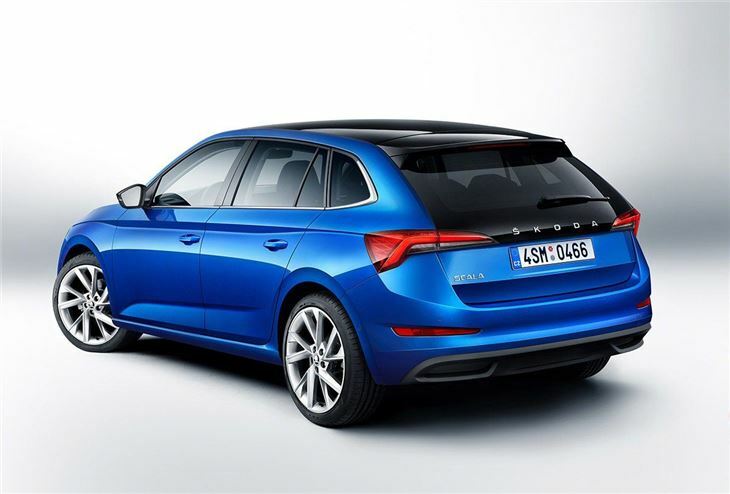 Skoda is also promising better refinement and comfort over the soon-to-be-axed Rapid. 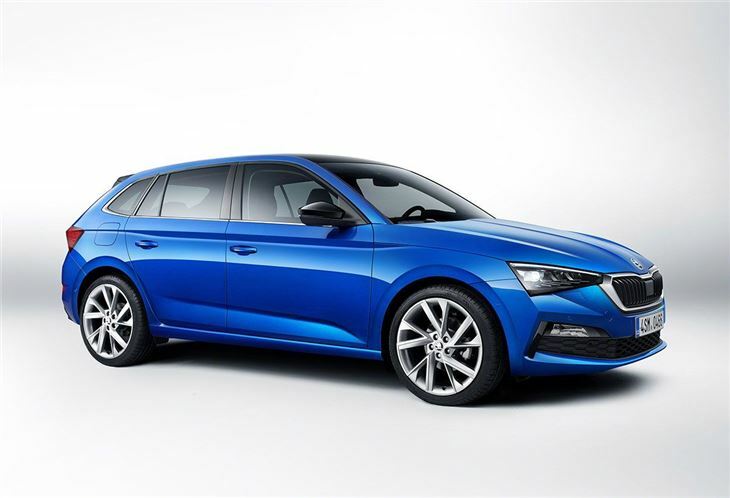 The new Skoda Scala is based on the same mechanical platform as the Volkswagen Polo, but claims more head and legroom thanks to a longer wheelbase and larger body overhangs. 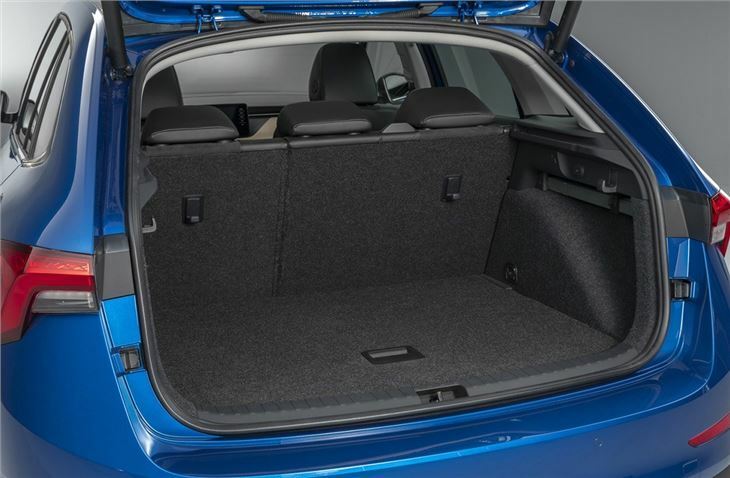 There will be more storage too, with the Scala's square roofline and 467 litre boot being a significant upgrade on the 375 litres found in the back of the Focus. The Scala also gets the option of an electric tailgate and features Skoda's wealth of Simply Clever features, which includes an umbrella compartment (and umbrella) stored in the driver's door. A misfuel protection system will also be standard across the range, complemented by a useful ice scraper in the fuel filler cap with a tyre tread depth gauge. A retractable tow bar, which can be electrically unlocked at the push of a button in the boot, will be available an optional extra. The preview images suggest the Scala will be more upmarket than the budget-focused Rapid, with more soft-touch materials in the cabin and the choice of decorative trims for the dashboard and centre console. As an option, the seat covers are available in a Suedia microfibre, while a fully digital instrument binnacle and 9.2 inch central touchscreen should provide easy access to DAB audio, navigation and media. All models get a built-in eSIM, which allows the car to automatically alert emergency services in the event of an accident, while the built-in GPS-tracking will pinpoint its exact location. The software for the infotainment and navigation will also automatically updated ‘over the air’, which means you don't have to visit a dealer for simple map updates. Under the bonnet the Scala gets the choice of three petrol engines and a single diesel, with the latter being the familiar 1.6 TDI with 115PS. The petrol range starts with the turbocharged three-cylinder 1.0 TSI with 95PS or 115PS. The larger and more powerful four-cylinder 1.5 TSI will produce 150PS. 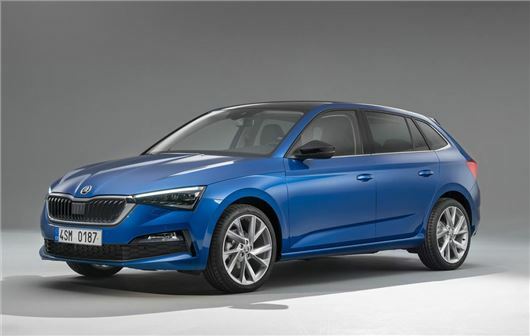 Fuel economy, CO2 ratings and pricing will be announced in 2019, but the Scala is expected to start in the region of £17,000 and mirror the Octavia’s S, SE, SE Tech and SE L trim levels. Wheel sizes will range from comfort-orientated 15-inch steels and grow to the sporty, low profile 18-inch alloys. A high performance vRS model with a 200+PS 2.0 TSI petrol is expected to be added in 2020. If it has a petrol automatic 4x4 option with heated seats,now that would be really exciting!